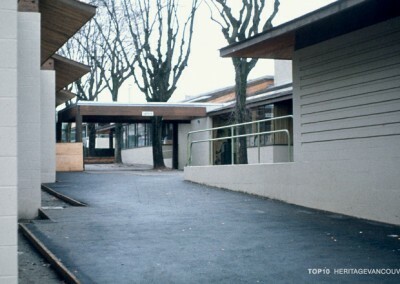 Fairmont Academy/ Langara School within the Heather Street Lands, is under threat of demolition if not relocated off-site. Designed by noted architects Maclure & Fox in 1914. The Heather Street Lands are a 21-acre parcel, located between 33rd and 37th Avenues, at Heather Street. It is owned by the MST Partnership (made up of the Musqueam Indian Band, the Squamish Nation and Tsleil-Waututh Nation) and the Canada Lands Company (CLC). The Lands were an important hunting ground for First Nations, and adjacent to a travel route for First Nations people. It is now proposed for development as residential housing, with the process guided by a Policy Statement concerning land use, public benefits, heritage and sustainability. 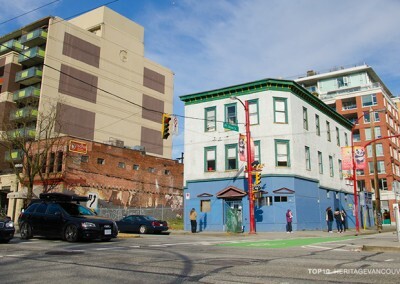 The Heather Street Lands are also home to the Fairmont Academy Building, an A-Listed heritage building, that has played a number of roles through Vancouver’s history. There are painful histories embedded for First Nations people, and the MST partners have requested the removal of the building as a form of reconciliation, with a new cultural centre taking its place. It is a complex site, and the challenge revolves around how different imperatives can be respected and these complex issues can be resolved. The Heather Street Lands is an extremely complex site with many layers of history that encompass a wide range of values – cultural, social, historical, architectural, natural and economic. These layers span the physical and the intangible, and some of them are deeply conflicting. Under a values-based approach, the question is how to integrate the key values of this contested site into the new development or sites (see below) so that present and future generations can understand and experience them. How well we will be able to work through these challenges is of fundamental importance in charting new directions for City policy. The history of this site has relevance to us as a society now and in the future, a history that cannot be overlooked. The Heather Lands Policy Statement is also encouraging, laying out a vision that creates opportunity for a unique development. As the project continues, it is critical to this process that there be ongoing dialogue, community input and continued positive working relationships between all the site’s stakeholders in order to achieve these aspirations. A robust, well-facilitated discussion is essential. 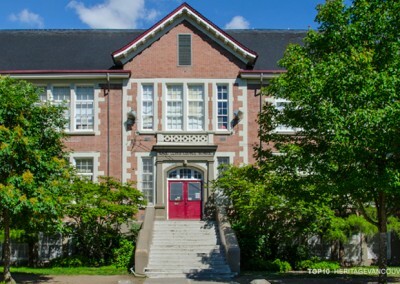 The Fairmont Academy is listed as an “A” on the Vancouver Heritage Register. 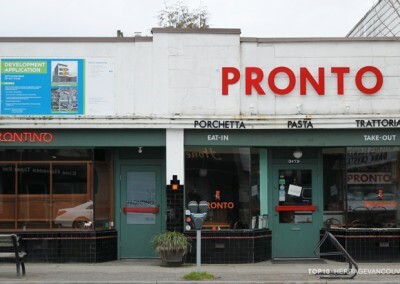 City of Vancouver Planning Staff are recommending relocation of the building. 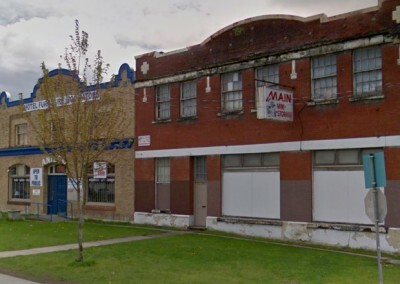 Should Council not accept the recommendation, or if they do and a receiver site is not found within an appropriate time frame, there is a threat that the building will be demolished. It is also crucial that we all come to understand that how we approach heritage conservation has evolved. It is not only focused on historical material and material fabric but is more dynamic. Heritage conservation now involves taking into consideration physical and non-physical (such as memories, associations, meanings) dimensions and how to balance those different ways of significance. The lands and surrounding areas were part of the traditional territory of the Musqueam, Squamish and Tsleil-Waututh Nations for thousands of years. It was a forested area rich with resources and wildlife such as elk and bear and was for local First Nations communities a hunting and gathering area. This was also nearby a route crossing the peninsula which members of First Nations used for travel. In 1911, at a time of explosive growth and a booming economy, a business venture was launched to open two new private schools. 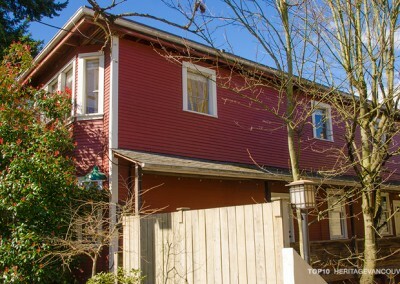 A location was sought near Shaughnessy Heights, to take advantage of the upper-class area being promoted by the Canadian Pacific Railway. Two schools opened – one for girls in 1912 and one for boys in 1914. The Langara Boys School occupied what is known today as Fairmont Academy. The business venture did not last long, and had folded by 1917. In 1919, the building became Fairmont Military Hospital after the lease was taken over by the Military Hospitals Commission. It cared for patients suffering from “shell shock,” which today would be called post traumatic stress disorder. Decorated B.C. nurse Jean Matheson was the matron at the Fairmont Military Hospital. Fire had damaged part of Shaughnessy Hospital in the fall of 1919 and when it reopened in early 1920, Jean Matheson along with the Fairmont Hospital moved over to Shaughnessy. 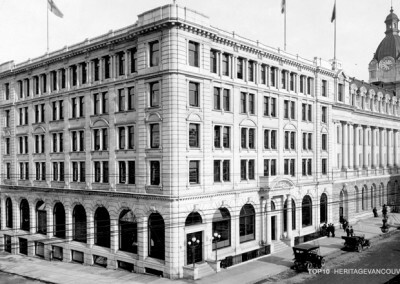 The RCMP (Northwest Mounted Police at the time) then moved into the Fairmont building. As part of the “E” Division headquarters, the Fairmont building was turned into a barracks. Through the years, until the RCMP headquarters moved to Surrey in 2013, the building was also used for training and office space for different units. The grounds in front of the Fairmont Barracks were used for many official ceremonies, including the adoption of the new Canadian flag in 1965. It is reported that those who have lived, worked, and trained here number in the thousands. There had been hope that the building would be turned into accommodations for retired members of the RCMP. RCMP veterans continue to have memories tied to this building. 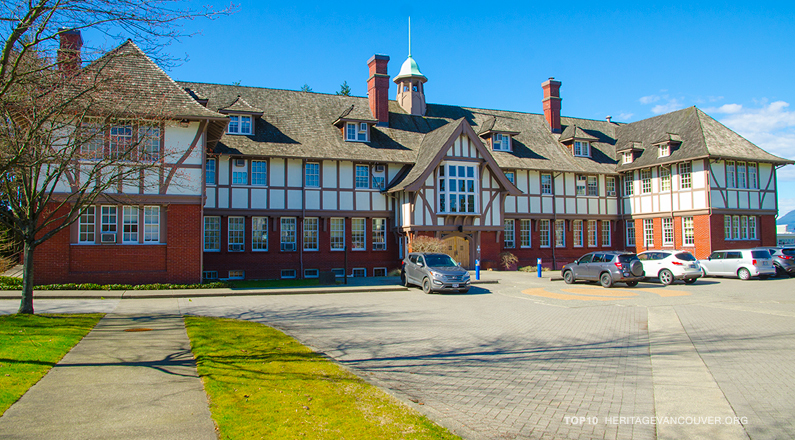 Architecturally, the Fairmont Academy is significant as a highly-accomplished example of the work of well-known B.C. 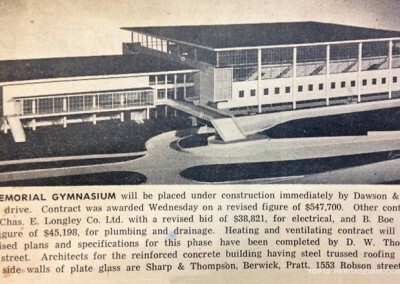 architects, Maclure & Fox, and is their most significant institutional project. It reflects the prevailing Arts and Crafts movement that influenced the design of many of the Edwardian-era mansions in First Shaughnessy. The structure is distinctive for its Tudor Revival style and for its relationship with the open natural setting and landscaping. Local First Nations have negative associations with the Fairmont Academy as a physical representation of the RCMP’s role in the unjust treatment of First Nations people. It is seen by them to be a symbol of “when customs and culture was oppressed and the Nations peoples were shifted off their traditional lands.” The MST Partnership has asked that, as an act of reconciliation, the building be removed and a cultural centre celebrating First Nations culture be built in its place. The site has and will continue to take on immense social significance within the context of reconciliation. This is a matter facing all Canadians and the Heather Street Lands project will be central to the City of Vancouver’s move to be a “City of Reconciliation” through the acknowledgment of difficult history, strengthening relationships and economic empowerment of First Nations communities. Healing will be an important part of what happens on this site. The Heather Street Lands are a prime example of an issue concerning a values-based approach to heritage conservation. The question is how to integrate the key values of this contested site into the new development and/or a new site so that present and future generations can understand and experience them. 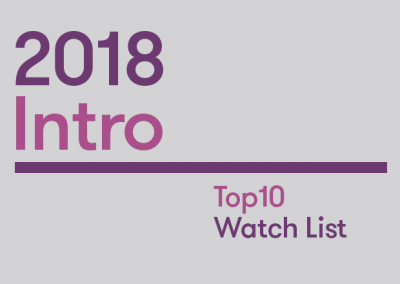 These issues are complex and intricate, as there are a number of potentially conflicting economic, architectural, cultural, natural and historical values that are important to different communities. There are also social ideas around healing, reconciliation and the fact that the site contains both positive and painful memories. This project contains lessons to be learned about the past, challenges that need to be resolved on contested sites, and how we move forward positively from a painful history. 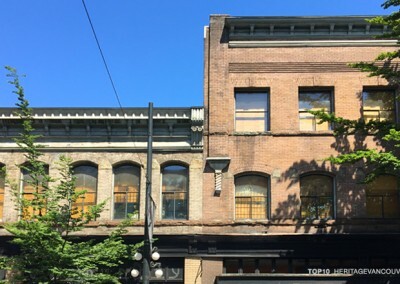 Heritage Vancouver feels that is essential to have a comprehensive strategy in place to understand, balance, recognize and effectively convey these significant values. Success will be measured by how distinct this place remains compared to other developments across the city. With respect to the Fairmont Building, we find that the staff recommendation to relocate the building may have its merits. This will depend on how effectively the various histories and other important values, including the significance of reconciliation associated with the building and site, are recognized, communicated to, and experienced by, current and future populations. We emphasize that whether the building is moved, kept, or demolished is one dimension of the heritage issue. It is a large one, but it is not the extent of the heritage issue. Arrange for and participate in regular, ongoing discussions with key stakeholder groups surrounding the various values of the site. Through these discussions, jointly work towards an interpretation strategy for how these values are to be recognized, integrated in the development and/or the additional site with possible relocation of Fairmont Academy, and understood by the public. Ongoing discussion can bring great benefits to creating an exceptional place that adds to the diversity of our city. Prepare a Statement of Significance for the Heather Street Lands Site and an updated one for the Fairmont Academy. Have a management plan completed to deal with the ongoing and multiple heritage aspects of the Heather Street Lands site (or sites with the relocation of Fairmont Academy) and its relationship to the immediate area and the rest of the city for the benefit of all people who wish to understand and experience this place. If relocation becomes necessary, find a suitable site to receive the Fairmont Academy where its values can be properly conveyed. Let the City of Vancouver know you wish for an outcome where the guiding principles and aspirations of the Heather Street Lands Policy Statement are fulfilled through a process that strengthens our relationships with all parties involved. Let the City of Vancouver know you are concerned about the possible demolition of the Fairmont Academy and that they should work towards a solution where there may be joint gains, to the greatest extent possible.